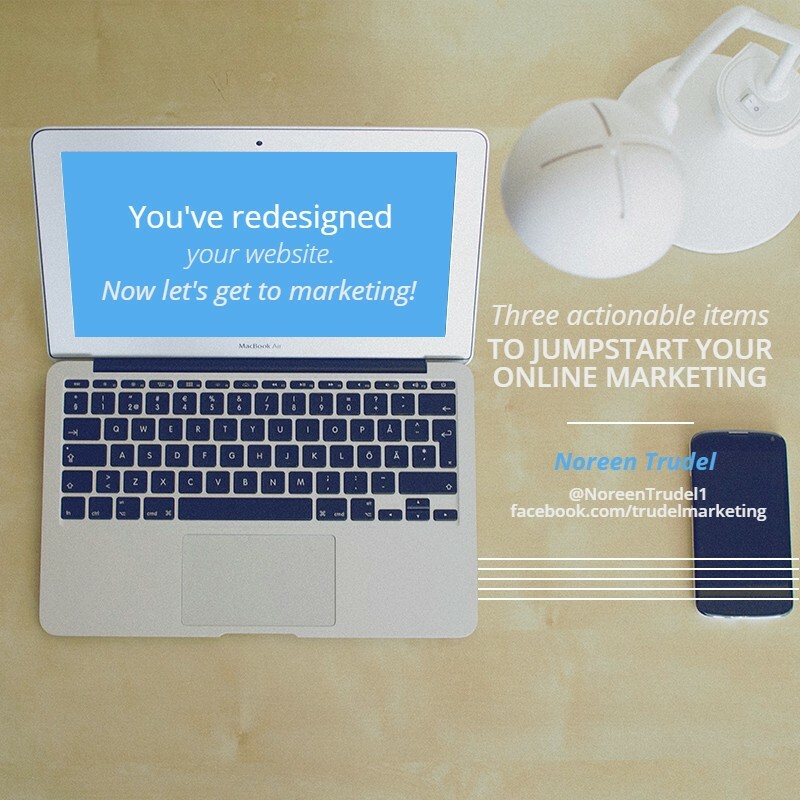 You’ve Redesigned Your Website, Now Let’s Get to Marketing! It takes so much work to finally get a website completed that many small business owners are left saying to themselves “Now what?” after the process is over. Are you someone who spends most of your time trying to keep the day to day operations running for your small business? With all that is required of most small business owners, it’s easy to let marketing fall through the cracks, especially after you’ve spent so much time dealing with a web designer (even when working with the best, it can be an incredibly time-consuming process). With a few more steps, you can start making your website earn its keep. “But where do I even get started?” you might ask. Below are a few simple ideas. Take a look around and you’ll notice almost everyone you know has a cell phone, computer or some device to search and access the web. Did you know that 46% of shoppers reported they exclusively use their mobile device to conduct pre-purchase research for local products and services? Putting your business on social media platforms such as Facebook and Twitter can give you more exposure to potential customers. Make sure if you utilize any of these social media resources that they link or direct to your website. This gives you an opportunity to connect to build relationships, trust and loyalty with your customers. Register your business locally and on the web. Here are a few great places to start: Google My Business, Bing Places, and Yahoo Local Listings. Registering with these sites will definitely help your SEO. You can increase your market by registering on local directories like Yellow Pages and Yelp. We recommend registering with as many as possible. You can find a list of the major ones here and even more at Moz Local. You never know where your next customer could be searching for a product or service you offer. The web has so many avenues for free, inexpensive marketing. Take the time to utilize these resources. One of the most important and often overlooked steps to gaining organic SEO is blogging. It’s difficult to find the time to bust out a 400 word post on a regular basis, but when done regularly and with some effort, it will pay huge dividends in terms of SEO as well as brand credibility. Furthermore, the original content will work double duty as you’ll be able to use it for social media posts. Ideally, most should shoot for a new blog post every week. But a post every other week is acceptable and once a month is better than none at all. Use Google keywords planner to come up with the key search terms people are using to ultimately find your business or businesses like yours. Then, as a good rule of thumb, try to incorporate a keyword for every 50 words in your post. If you can honestly not find the time to write compelling blog content (or if your time is better spent elsewhere), consider outsourcing the task to a credible content marketer or writer who is willing to provide you with quality content with as much or as little direction as you’d like to provide. Do you have any other helpful tips on how to market and leverage your business website you would like to share?